Available in the choice of White or Blue rails. 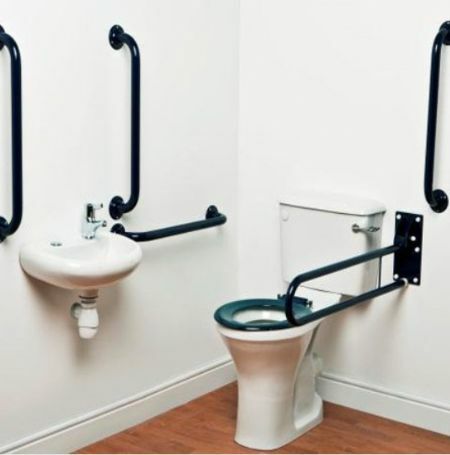 The Close Coupled Doc M Pack is an excellent value disabled bathroom pack that complies with Document M.
It has been formally approved by LABC (formally LANTAC) to meet Local Authority Requirements. All cistern and fitting taps are WRAS approved keeping you safe in the knowledge that this is a quality product. Manufactured to the highest standards and with a 5 year guarantee. Rails are available in the choice of White or Blue.